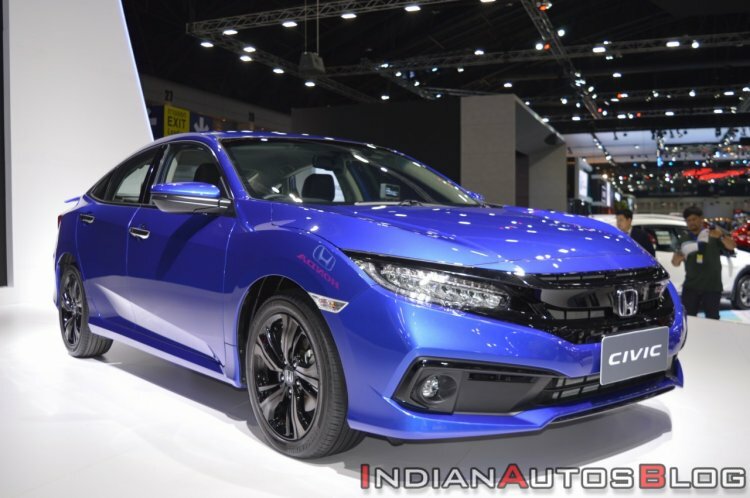 A new report from CarToq says that dealer-level pre-orders for the 2019 Honda Civic in India have commenced. Customers can reserve the new sedan with a refundable deposit of INR 51,000. The launch is scheduled for 8 March, as per a report from Express Drives. Not much has changed to the landscape since the Civic quit the Indian market. The car will compete with the Hyundai Elantra, Toyota Corolla Altis and Skoda Octavia. Introduced in 2015, the latest Honda Civic is the tenth incarnation of the Japanese automaker’s best-selling car globally. The low-slung C-segment sedan with a coupe-like cabin silhouette received its mid-life update at the end of last year, and it will land in India directly in that avatar. 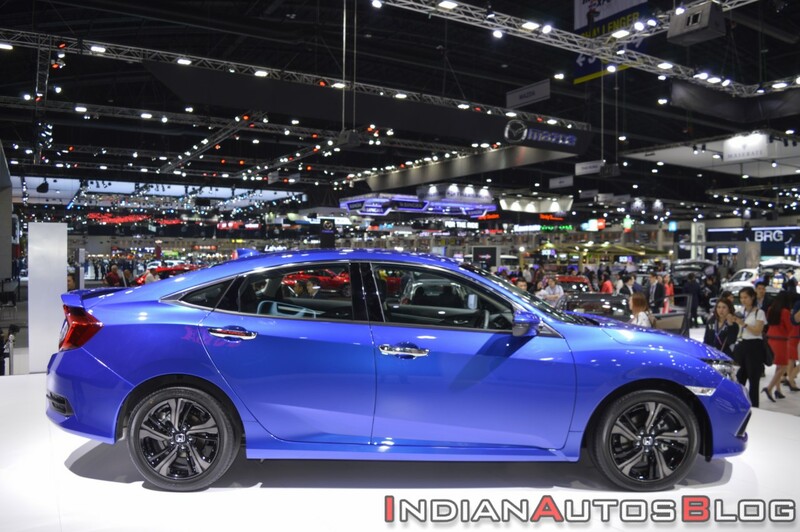 The new Honda Civic sedan is 4,648 mm long, 1,799 mm wide and 1,416 mm tall. Its wheelbase spans a length of 2,698 mm. On the outside, it features in-line type LED headlights with integrated LED DRLs, C-shaped LED tail lights, LED front fog lights, 17-inch alloy wheels and wing type decklid spoiler. Interior highlights include 8-way (driver)/4-way (passenger) power front seats, 7-inch Display Audio touchscreen infotainment system with Apple CarPlay and Android Auto, dual-zone automatic climate control and eight speakers. On the safety front, Honda offers features like an electric parking brake, six airbags, Collision Mitigation Braking System (CMBS), Lane Keeping Assist System (LKAS), Road Departure Mitigation System with Lane Departure Warning (RDM with LDW), Auto High-Beam (AHB), Adaptive Cruise Control with Low-Speed Follow (ACC with LSF), Vehicle Stability Assist (VSA) and Honda LaneWatch in Asia. In the Indian market, Honda may not offer CMBS, LKA, RDM with LDW, AHB, ACC with LSF, VSA and Honda LaneWatch, which are a part of the Honda Sensing suite of advanced safety and driver-assistive technologies. The 2019 Honda Civic will come with two engines in India: 1.8L i-VTEC petrol and 1.6L i-DTEC diesel. The naturally aspirated petrol engine produces 141 PS and 174 Nm of torque. It is paired with a CVT. The turbocharged diesel engine develops 120 PS and 300 Nm of torque. It sends the drive to the wheels via a 6-speed manual transmission or a 9-speed automatic transmission. The latter, however, is not planned for our market. Honda will offer a diesel engine in the tenth generation Civic in India. Prices of the new Honda Civic will likely start somewhere between INR 15-20 lakh (ex-showroom Delhi).